My passion for the Arabian grew from breeding miniatures to overcome a childhood fear of horses. Having bred a World Grand Champion miniature, I still have 30 retired miniatures that will remain with me until they pass on. Arabians came through meeting people in the industry and I dove head first! They have changed not only my life, but my husband’s and family’s. 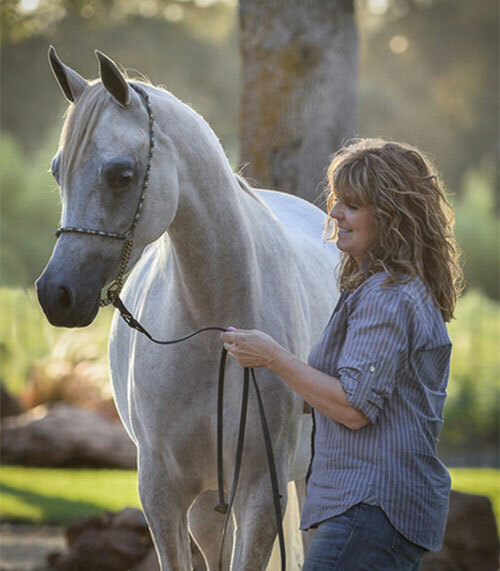 We moved in 2013 to the rolling hills of Auburn, California, to a magical 30-acre farm that I’m proud to say was also the home of two previous Arabian breeders—lots of history here! I am beyond proud, emotional and happy, to be part of these works of ART!